Pope Francis’ homily during Mass on Tuesday at Casa Santa Marta focuses on Jesus who drew near to people as he walked the streets of his world and as he gave his life on the cross. 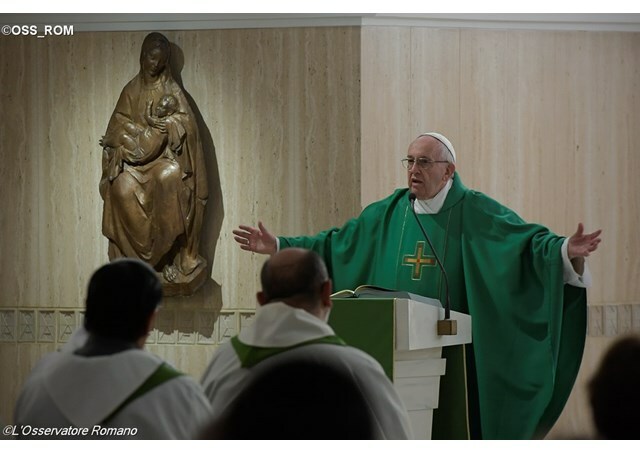 Pope Francis reflected on the Gospel of the day (Luke 7:11-17) during his homily on Tuesday at Casa Santa Marta, which recounts the raising of the son of the widow of Nain. He presented Jesus, the icon of the shepherd, whose authority came from his compassion expressed in meekness, tenderness, and closeness to the people. The Pope encouraged pastors to imitate Jesus in being near to people, not near to the powerful or ideologues whom, he says, “poison souls”. What gave Jesus authority, Pope Francis explained, was that “he spent most of his time on the road”, touching, embracing, listening and looking at the people in the eye. “He was near them”, the Pope said. “this is what gave him authority”. Jesus taught the same thing that many others taught, the Pope continued. It was how he taught that was different. Jesus “was meek, and did not cry out. He did not punish the people”. He never trumpeted the fact that he was the Messiah or a Prophet. “In the Gospel, when Jesus was not with people, he was with the Father praying”, Pope Francis said. His meekness toward the Father was expressed when he “visited the house of his Father which had become a shopping mall….” He was angry and threw everyone out, the Pope said. “He did this because he loved the Father, because he was humble before the Father”. The Pope brought up that it was also the people who yelled “crucify him”. Jesus then compassionately remained silent because “the people were deceived by the powerful”, Pope Francis explained. His response was silence and prayer. Here the shepherd chooses silence when the “Great Accuser” accuses him “through so many people”. Jesus “suffers, offers his life, and prays”, Pope Francis said. That prayer carried him even to the Cross, with strength; even there he had the capacity of drawing near to and healing the soul of the repentant thief.